an enhanced ability to research topics, give presentations and write technical prose. some historical depth into Computer Science, mathematics and logic itself. This course is open to Computer Science freshmen only. 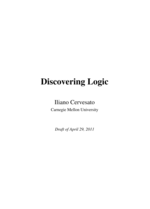 This course is a gateway to the fascinating and multifaceted world of computational logic. 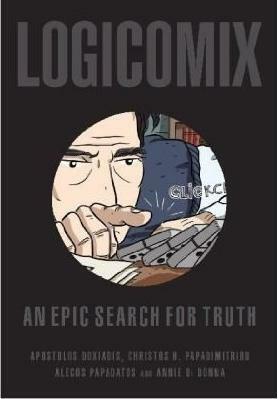 If you find it enjoyable, you may also like 21-300 Basic Logic (a systematic investigation of propositional and first-order logic), 15-312 Foundations of Programming Languages (a systematic, logic-based investigation to programming languages), 15-317 Constructive Logic (the use of logic to express algorithms and computation), 15-414 Bug Catching: Automated Program Verification and Testing (the use of a logical technique known as model-checking to verify complex systems), 80-211 Logic and Mathematical Inquiry (an historical journey through modern logic), and 80-311 Computability and Incompleteness (a study of the logical foundations of Computer Science). Apostolos Doxiadis and Christos Papadimitriou. This is a 3 unit course. If it were a semester-long course, you would be expected to dedicate an average of 3 hours a week to it for 14 weeks, for a total of about 42 hours. However, this is a mini and it lasts only 7 weeks. You are still expected to spend 42 hours on it. This means your load will be 6 hours a week in average. At the end of the every lecture, you will be given daily exercises, a couple of simple exercises or questions collected during the next class or recitation. Each will be graded, with negative points for missing or sloppy work. Due at 11:59pm Doha time. To encourage good work and integrity, the instructor may invite students to his office to explain their solutions. Should this happen, the students' explanations will become part of their grades for that assignment.